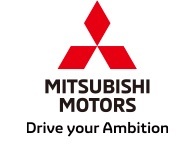 TOKYO, Feb, 13 2019 - (JCN Newswire) - Mitsubishi Motors Corporation (MMC) will globally unveil the 2020 model year ASX compact SUV (RVR or Outlander Sport in some markets) at the 89th Geneva International Motor Show(1) to be held March 5-17. 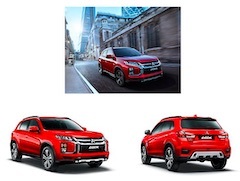 The exterior design has undergone a major overhaul under a design philosophy of "robust and ingenious," which serves as an expression of the MMC's global tagline "Drive your Ambition." For European markets, ASX is powered by a 2.0L MIVEC(2) 16-valve engine mated to either a five-speed manual transmission, or the INVECS(3)-III CVT with 6-speed Sports Mode. Both two and four-wheel-drive versions are available. The size of the display has been increased from seven to eight inches. Videos stored on USB memory sticks can also now be viewed on the SDA screen(4). Top trim level models come equipped with a Tom Tom(5) navigation system. Real-time traffic information can now be accessed by connecting to the internet using a smartphone. (5) A company headquartered in the Netherlands that produces traffic, navigation and mapping products.